Plant based cuisine. All things with a twist. 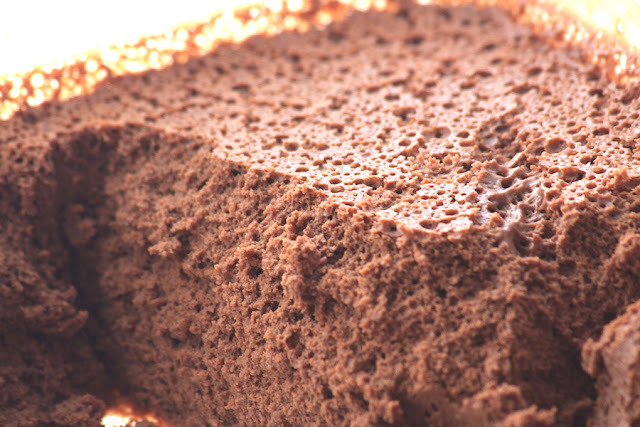 I have made various versions of chocolate mousse before and every time I feel I was one step closer to getting the ideal texture. I was very happy about my former version using coconut milk and chia seeds (see recipe in another blog post). That was until I came across this amazing idea some brilliant folks on facebook shared about using chickpea brine to replace egg whites (https://www.facebook.com/groups/372343816286624). Now this is by far the best chocolate mousse I have ever had! It’s got the perfect texture and smoothness. Thank you facebook friends for sharing this brilliant idea with the world! 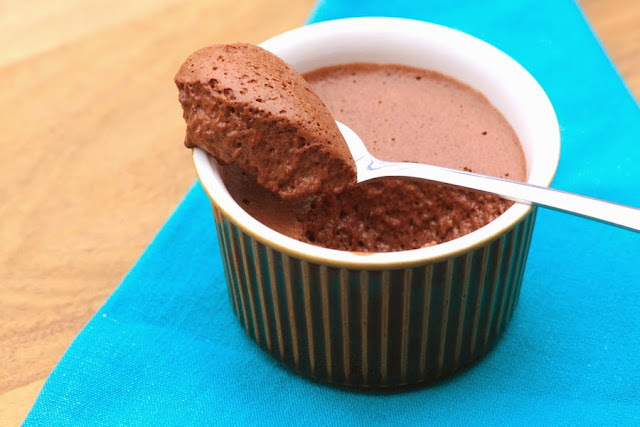 In fact you can make chocolate mousse using only dark chocolate and aqua faba. It works well enough. I decided to add psyllium husks and plant milk to get a creamier and stable consistency that stays well for several days in the fridge. Using only the chickpea brine could end up as a soft mousse that separates into 2 layers the next day. Another great option to stabilise the consistency is to use 1/2 teaspoon xanthan gum to the aqua faba when it already formed fluffy stiff peaks and tripled its volume. Depending on the quality of dark chocolate you use, of the plant milk you add or how concentrated your aqua faba is, you might wish to adapt the amounts to make it creamier or more consistent. I wanted it looking like the "real thing", soft enough to melt on the tongue but not dripping out of the spoon. Here you go. Have fun! 1 or 2 tablespoons mascobado sugar, palm sugar, stevia or other sweetener of your choice if needed. Depending on how sweet your dark chocolate is you might not even need to add any extra sugar. It’s all up to you. Melt the chocolate in bain-marie (a.k.a. double boiler). Add the psyllium to the plant milk and stir it well. Whisk it gently to get it dissolved and leave it for a few minutes or until the chocolate is melted. Open the chickpea jar and strain its liquid into a large bowl or the bowl of your electric whipping mixer. The chickpeas you can use to make hummus or anything else you want, but they do NOT take part in this recipe. If using the cooking water of your home made cooked chickpeas or beans, just make sure they are concentrated enough, but also not over-concentrated. 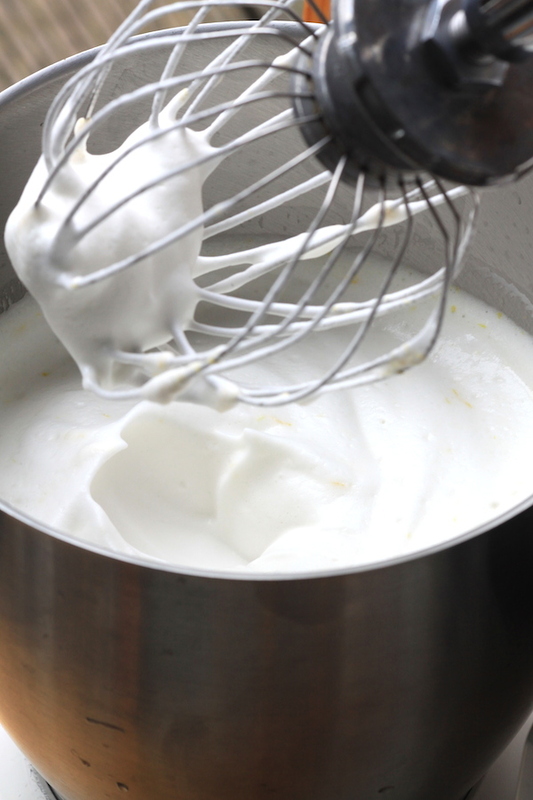 Whip the aqua faba in high speed, preferably using an electric handheld mixer with a round whip attachment at the end, until it is white, fluffy and stiff. It should at least double the volume but it usually triples it. Add the mascobado sugar slowly, while the electric whipping goes on. If you do not use psyllium husks and prefer to use xanthan gum, now it's the time to add it. Reduce the speed of the device and add carefully 1/2 teaspoon of xanthan gum to it. Keep whipping at a slower speed, until it gets well incorporated. As last step, add the aqua faba fluffy white mousse to the melted chocolate and fold it in gently a little bit at a time. Keep adding more fluff and folding it until all the chocolate and the white mousse are well incorporated. 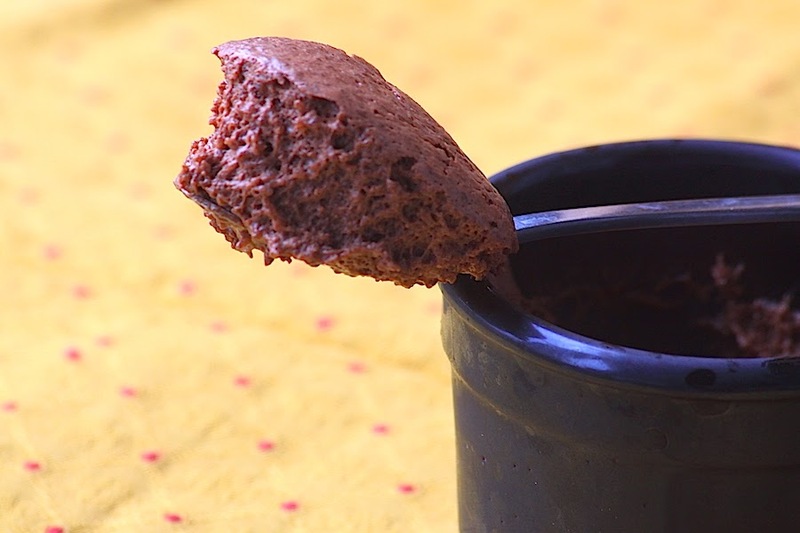 Pour into little dessert pots (or into a large glass tray if you make a huge batch) and place it in the fridge for at least 2 hours, but it is even better if you make it overnight. Depending on the brand of chickpea you buy, the brine will be thinner or thicker. The more concentrated it is, the better. No, that's not really true. I found out later that there is a level of concentration that keeps the aqua faba from expanding further. So if using a thick liquid you notice that your device is taking longer to get the liquid to become white and fluffy, you might want to add some extra water. After you've done it a few times, you'll get the hang of it and know whether you need to add water or to cook it further to get it more concentrated - that is usually only the case when you use home made brine and the beans were cooked in too much water, or not long enough to create the "magic effect" on the brine. In case you need to cook the liquid further on to concentrate it a bit more, wait until it cools down again before whisking it to white fluffiness consistency. It will not work out if you whip a warm aqua faba. Psyllium husk or xanthan gum add a nice creamy texture and helps to keep the mousse in shape for several days without separating. If you cannot find psyllium, it also works fine without it. In that case, make sure to use 200g chocolate for each 200ml aqua faba. What is a "bain-marie"? Recipe looks awesome! I'm hoping to use this mouse between chocolate cake layers. My chokolate didn't appreciate adding the milk-psyllium-slurry, the whole mixture went thick and chewy! I used roomtemperature oat cream. So if you are using other plant milks than coconut, you should conside warming the milk and then adding the chokolate chunks. 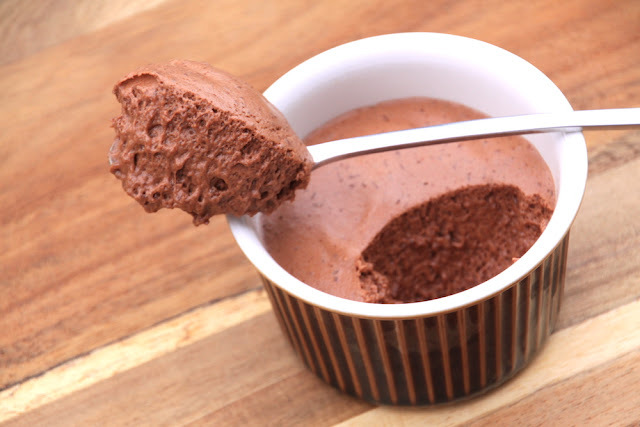 However I was able to mix the chokolate and aqua faba fluffy and the mousse did set up in the fridge and come out airy. It's not smooth, there's chokoclumbs in the mousse so I wound't serve it to guests but family members are happy to spoon it on. Lyra Alves 2014-2016. Powered by Blogger.